Summary: Sankei News posted an article on the Gyakuten Saiban ("Ace Attorney") series on September 8, 2017. While it is mostly an introductionary article for people not too familiar with videogames in general, it features a couple of direct quotes from series supervisor Takumi and series producer Eshiro on how the games and its plots are developed. There is a genre in the medium of videogames called “adventure games” where you choose the actions of the protagonists to proceed in the story. Famous examples of mystery adventure games, which you might describe as playable mystery novels, released in the past include Portopia Renzoku Satsujin Jiken (“The Portopia Serial Murder Case”) and Kamaitachi no Yoru (Banshee’s Last Cry), but unlike action games, which benefit relatively easily from the improvements made in game hardware, mystery adventure games have been not as present as in the past. However, Capcom’s Gyakuten Saiban (Ace Attorney) has been at the center of restoring the genre, having continued for 15 years, with total lifetime sales of 6,400,000 copies (as of June 2017) and other releases like a film, anime series and Takarazuka musicals. We asked two of the head developers about the games as entertainment and how it has continued for so long. 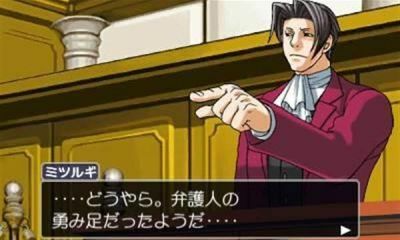 The goal in Gyakuten Saiban is to prove the innocence of the defendant who has been arrested for a crime they didn’t commit, and the games have mostly been sold on Nintendo’s handheld devices. The player has to turn adverse circumstances, with decisive testimonies and evidence, around and solve the whole case, including the identity of the true culprit. 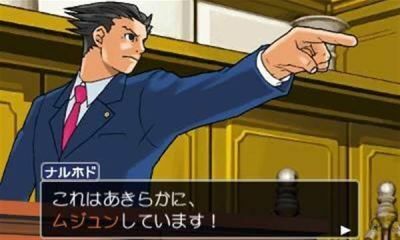 The protagonist of the games (save for select titles) is the defense attorney Naruhodō Ryūichi. By “pressing” the witnesses during their testimonies and “Presenting” the evidence he has collected, he points out contradictions in their testimonies. There are also various spin-off titles besides six games in the main series. The structure of the game was decided by using trials as its focus. If they had only one story per game, you’d only see one trial, so the game featured about four short stories. Here Mr. Takumi, who has been well-read in the mystery genre, could show his abilities. While they were independent short stories, they did all form one story together. In fiction, this is considered a high-level technique called “serial short stories”. Series producer Eshiro Motohide (49) notes: “The story is divided in chapters, and you solve the crime in each chapter, but it was incredibly innovative that it’d turn out they’d form one story together.” Mr. Takumi says he has much respect for Awasaka Tsumao, who is considered one of the masters of the Japanese mystery short story. “It’s not just solving crimes. The characters are also very fascinating,” a female office worker (36) who is a fan of the series emphasizes. The prosecutors facing the protagonists are also very colorful, and some of them even wield a whip in court, while others have falcons resting on their shoulders. And then there are witnesses who smoke a kiseru pipe or open a parasol during their testimony. And it’s not only humans who appear at the witness stand, but even parrots and robots…. “It sometimes happens with mystery novels that there are just too many characters, and you forget who’s who. So I focused my efforts on creating characters you would remember after just one look at them,” Mr. Takumi explains. One could say that the fusion between this “over-the-top” presentation and the logical reasoning from mystery fiction is what’s behind the success of the series’ popularity. The game did not gather much attention at first, but slowly people started to appreciate the game and the number of fans grew. Besides Takarazuka musicals, the series has also been adapted as a film in Heisei 24 (2012) and a TV anime series was broadcast in Heisei 28 (2016). Capcom uses its intellectual property in various manners, which they call “One Content, Multi-Uses”, and the Gyakuten Saiban series is seen as one of its prime examples. While the love for adventure games is quite deep-rooted among its fans, the genre does tend to grow too familiar and stale with each new game, so it is rare to see a series like Gyakuten Saiban still enjoying so much support after that much time. 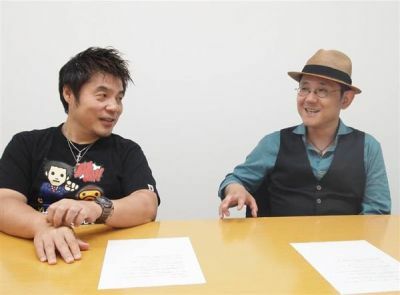 According to Mr. Eshiro, “the adventure genre is one where the author has a strong voice, so it is important to have fantastic stories.” Portopia Renzoku Satsujin Jiken was written by Horii Yūji (63) of Dragon Quest fame, while the scenario of Kamaitachi no Yoru was written by mystery author Abiko Takemaru (54). In the case of Gyakuten Saiban, each new entry brings new elements, while building upon the world as created by Mr. Takumi. “It’s important to have fresh blood,” Mr. Takumi says. He moved away from the main series after the first four games. Gyakuten Saiban 5 and 6 were developed with Mr. Eshiro as the center. 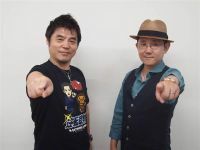 “We look at what the fans consider alluring to the games, and create the games with the belief and goal to have a good comprehension of what makes Gyakuten Saiban what it is as the whole team,” Mr.　Eshiro explains. On the topic of adventure games, Mr. Takumi points out its potential power: “You don’t need any fast reflexes and even people who usually don’t play games can enjoy them. I hope I’ll be able to continue bring the people this sensation of solving a case yourself in a form only games can offer.